Gestational diabetes is caused by not enough insulin in the setting of insulin resistance. Risk factors include being overweight, previously having gestational diabetes, a family history of type 2 diabetes, and having polycystic ovarian syndrome. Diagnosis is by blood tests. For those at normal risk screening is recommended between 24 and 28 weeks gestation. For those at high risk testing may occur at the first prenatal visit. Prevention is by maintaining a healthy weight and exercising before pregnancy. Gestational diabetes is a treated with a diabetic diet, exercise, and possibly insulin injections. Most women are able to manage their blood sugar with a diet and exercise. Blood sugar testing among those who are affected is often recommended four times a day. Breastfeeding is recommended as soon as possible after birth. Gestational diabetes affects 3–9% of pregnancies, depending on the population studied. It is especially common during the last third of pregnancy. It affects 1% of those under the age of 20 and 13% of those over the age of 44. A number of ethnic groups including Asians, American Indians, Indigenous Australians, and Pacific Islanders are at higher risk. In 90% of people gestational diabetes will resolve after the baby is born. Women, however, are at an increased risk of developing type 2 diabetes. Gestational diabetes is formally defined as "any degree of glucose intolerance with onset or first recognition during pregnancy". This definition acknowledges the possibility that a woman may have previously undiagnosed diabetes mellitus, or may have developed diabetes coincidentally with pregnancy. Whether symptoms subside after pregnancy is also irrelevant to the diagnosis. A woman is diagnosed with gestational diabetes when glucose intolerance continues beyond 24–28 weeks of gestation. The White classification, named after Priscilla White, who pioneered research on the effect of diabetes types on perinatal outcome, is widely used to assess maternal and fetal risk. It distinguishes between gestational diabetes (type A) and pregestational diabetes (diabetes that existed prior to pregnancy). These two groups are further subdivided according to their associated risks and management. Type B: onset at age 20 or older and duration of less than 10 years. Type C: onset at age 10–19 or duration of 10–19 years. Type E: overt diabetes mellitus with calcified pelvic vessels. Type RF: retinopathy and nephropathy. Type H: ischemic heart disease. Type T: prior kidney transplant. An early age of onset or long-standing disease comes with greater risks, hence the first three subtypes. Two other sets of criteria are available for diagnosis of gestational diabetes, both based on blood-sugar levels. Maternal age – a woman's risk factor increases as she gets older (especially for women over 35 years of age). Other genetic risk factors: There are at least 10 genes where certain polymorphism are associated with an increased risk of gestational diabetes, most notably TCF7L2. In addition to this, statistics show a double risk of GDM in smokers. Polycystic ovarian syndrome is also a risk factor, although relevant evidence remains controversial. Some studies have looked at more controversial potential risk factors, such as short stature. About 40–60% of women with GDM have no demonstrable risk factor; for this reason many advocate to screen all women. Typically, women with GDM exhibit no symptoms (another reason for universal screening), but some women may demonstrate increased thirst, increased urination, fatigue, nausea and vomiting, bladder infection, yeast infections and blurred vision. Effect of insulin on glucose uptake and metabolism. Insulin binds to its receptor (1) on the cell membrane which in turn starts many protein activation cascades (2). These include: translocation of Glut-4 transporter to the plasma membrane and influx of glucose (3), glycogen synthesis (4), glycolysis (5) and fatty acid synthesis (6). The precise mechanisms underlying gestational diabetes remain unknown. The hallmark of GDM is increased insulin resistance. Pregnancy hormones and other factors are thought to interfere with the action of insulin as it binds to the insulin receptor. The interference probably occurs at the level of the cell signaling pathway beyond the insulin receptor. Since insulin promotes the entry of glucose into most cells, insulin resistance prevents glucose from entering the cells properly. As a result, glucose remains in the bloodstream, where glucose levels rise. More insulin is needed to overcome this resistance; about 1.5–2.5 times more insulin is produced than in a normal pregnancy. Insulin resistance is a normal phenomenon emerging in the second trimester of pregnancy, which in cases of GDM progresses thereafter to levels seen in a non-pregnant person with type 2 diabetes. It is thought to secure glucose supply to the growing fetus. Women with GDM have an insulin resistance that they cannot compensate for with increased production in the β-cells of the pancreas. Placental hormones, and to a lesser extent increased fat deposits during pregnancy, seem to mediate insulin resistance during pregnancy. Cortisol and progesterone are the main culprits, but human placental lactogen, prolactin and estradiol contribute, too. Multivariate stepwise regression analysis reveals that, in combination with other placental hormones, leptin, tumor necrosis factor alpha, and resistin are involved in the decrease in insulin sensitivity occurring during pregnancy, with tumor necrosis factor alpha named as the strongest independent predictor of insulin sensitivity in pregnancy. An inverse correlation with the changes in insulin sensitivity from the time before conception through late gestation accounts for about half of the variance in the decrease in insulin sensitivity during gestation: in other words, low levels or alteration of TNF alpha factors corresponds with a greater chance of, or predisposition to, insulin resistance or sensitivity. GABBE,STEVEN G; sixth Edition page 890. It is unclear why some women are unable to balance insulin needs and develop GDM; however, a number of explanations have been given, similar to those in type 2 diabetes: autoimmunity, single gene mutations, obesity, along with other mechanisms. Though the clinical presentation of gestational diabetes is well characterized, the biochemical mechanism behind the disease is not well known. One proposed biochemical mechanism involves insulin-producing β-cell adaptation controlled by the HGF/c-MET signaling pathway. β-cell adaption refers to the change that pancreatic islet cells undergo during pregnancy in response to maternal hormones in order to compensate for the increased physiological needs of mother and baby. These changes in the β-cells cause increased insulin secretion as a result of increased β-cell proliferation. HGF/c-MET has also been implicated in β-cell regeneration, which suggests that HGF/c-MET may help increase β-cell mass in order to compensate for insulin needs during pregnancy. Recent studies support that loss of HGF/c-MET signaling results in aberrant β-cell adaptation. c-MET is a receptor tyrosine kinase (RTK) that is activated by its ligand, hepatocyte growth factor (HGF), and is involved in the activation of several cellular processes. When HGF binds c-MET, the receptor homodimerizes and self-phosphorylates to form an SH2 recognition domain. The downstream pathways activated include common signaling molecules such as RAS and MAPK, which affect cell motility, cell motility, and cell cycle progression. Studies have shown that HGF is an important signaling molecule in stress related situations where more insulin is needed. Pregnancy causes increased insulin resistance and so a higher insulin demand. The β-cells must compensate for this by either increasing insulin production or proliferating. If neither of the processes occur, then markers for gestational diabetes are observed. It has been observed that pregnancy increases HGF levels, showing a correlation that suggests a connection between the signaling pathway and increased insulin needs. 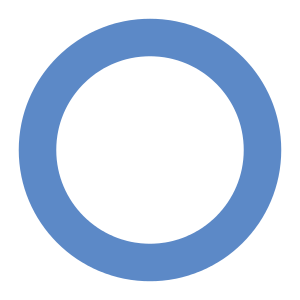 In fact, when no signaling is present, gestational diabetes is more likely to occur. The exact mechanism of HGF/c-MET regulated β-cell adaptation is not yet known but there are several hypotheses about how the signaling molecules contribute to insulin levels during pregnancy. c-MET may interact with FoxM1, a molecule important in the cell cycle, as FOXM1 levels decrease when c-MET is not present. Additionally, c-MET may interact with p27 as the protein levels increase with c-MET is not present. Another hypothesis says that c-MET may control β-cell apoptosis because a lack of c-MET causes increases cell death but the signaling mechanisms have not been elucidated. Although the mechanism of HGF/c-MET control of gestational diabetes is not yet well understood, there is a strong correlation between the signaling pathway and the inability to produce an adequate amount of insulin during pregnancy and thus it may be the target for future diabetic therapies. Because glucose travels across the placenta (through diffusion facilitated by GLUT1 carrier), which is located in the syncytiotrophoblast on both the microvillus and basal membranes, these membranes may be the rate-limiting step in placental glucose transport. There is a two- to three-fold increase in the expression of syncytiotrophoblast glucose transporters with advancing gestation. Finally, the role of GLUT3/GLUT4 transport remains speculative. If the untreated gestational diabetes fetus is exposed to consistently higher glucose levels, this leads to increased fetal levels of insulin (insulin itself cannot cross the placenta). The growth-stimulating effects of insulin can lead to excessive growth and a large body (macrosomia). After birth, the high glucose environment disappears, leaving these newborns with ongoing high insulin production and susceptibility to low blood glucose levels (hypoglycemia). A number of screening and diagnostic tests have been used to look for high levels of glucose in plasma or serum in defined circumstances. One method is a stepwise approach where a suspicious result on a screening test is followed by diagnostic test. Alternatively, a more involved diagnostic test can be used directly at the first prenatal visit for a woman with a high-risk pregnancy. (for example in those with polycystic ovarian syndrome or acanthosis nigricans). Non-challenge blood glucose tests involve measuring glucose levels in blood samples without challenging the subject with glucose solutions. A blood glucose level is determined when fasting, 2 hours after a meal, or simply at any random time. In contrast, challenge tests involve drinking a glucose solution and measuring glucose concentration thereafter in the blood; in diabetes, they tend to remain high. The glucose solution has a very sweet taste which some women find unpleasant; sometimes, therefore, artificial flavours are added. Some women may experience nausea during the test, and more so with higher glucose levels. More research is needed to find the most effective way of screening for gestational diabetes. Routine screening of women with a glucose challenge test appears to find more women with gestational diabetes than only screening women with risk factors. It is not clear how these screening tests affect the rest of the pregnancy. Future research should include how the method of screening impacts the mother and baby. Opinions differ about optimal screening and diagnostic measures, in part due to differences in population risks, cost-effectiveness considerations, and lack of an evidence base to support large national screening programs. The most elaborate regimen entails a random blood glucose test during a booking visit, a screening glucose challenge test around 24–28 weeks' gestation, followed by an OGTT if the tests are outside normal limits. If there is a high suspicion, a woman may be tested earlier. In the United States, most obstetricians prefer universal screening with a screening glucose challenge test. In the United Kingdom, obstetric units often rely on risk factors and a random blood glucose test. The American Diabetes Association and the Society of Obstetricians and Gynaecologists of Canada recommend routine screening unless the woman is low risk (this means the woman must be younger than 25 years and have a body mass index less than 27, with no personal, ethnic or family risk factors) The Canadian Diabetes Association and the American College of Obstetricians and Gynecologists recommend universal screening. The U.S. Preventive Services Task Force found there is insufficient evidence to recommend for or against routine screening. Some pregnant women and careproviders choose to forgo routine screening due to the absence of risk factors, however this is not advised due to the large proportion of women who develop gestational diabetes despite having no risk factors present and the dangers to the mother and baby if gestational diabetes remains untreated. When a plasma glucose level is found to be higher than 126 mg/dl (7.0 mmol/l) after fasting, or over 200 mg/dl (11.1 mmol/l) on any occasion, and if this is confirmed on a subsequent day, the diagnosis of GDM is made, and no further testing is required. These tests are typically performed at the first antenatal visit. They are simple to administer and inexpensive, but have a lower test performance compared to the other tests, with moderate sensitivity, low specificity and high false positive rates. The screening glucose challenge test (sometimes called the O'Sullivan test) is performed between 24–28 weeks, and can be seen as a simplified version of the oral glucose tolerance test (OGTT). No previous fasting is required for this screening test, in contrast to the OGTT. The O'Sullivan test involves drinking a solution containing 50 grams of glucose, and measuring blood levels 1 hour later. If the cut-off point is set at 140 mg/dl (7.8 mmol/l), 80% of women with GDM will be detected. If this threshold for further testing is lowered to 130 mg/dl, 90% of GDM cases will be detected, but there will also be more women who will be subjected to a consequent OGTT unnecessarily. A standardized oral glucose tolerance test (OGTT) should be done in the morning after an overnight fast of between 8 and 14 hours. During the three previous days the subject must have an unrestricted diet (containing at least 150 g carbohydrate per day) and unlimited physical activity. The subject should remain seated during the test and should not smoke throughout the test. The test involves drinking a solution containing a certain amount of glucose, usually 75 g or 100 g, and drawing blood to measure glucose levels at the start and on set time intervals thereafter. The diagnostic criteria from the National Diabetes Data Group (NDDG) have been used most often, but some centers rely on the Carpenter and Coustan criteria, which set the cutoff for normal at lower values. Compared with the NDDG criteria, the Carpenter and Coustan criteria lead to a diagnosis of gestational diabetes in 54 percent more pregnant women, with an increased cost and no compelling evidence of improved perinatal outcomes. An alternative test uses a 75 g glucose load and measures the blood glucose levels before and after 1 and 2 hours, using the same reference values. This test will identify fewer women who are at risk, and there is only a weak concordance (agreement rate) between this test and a 3-hour 100 g test. The glucose values used to detect gestational diabetes were first determined by O'Sullivan and Mahan (1964) in a retrospective cohort study (using a 100 grams of glucose OGTT) designed to detect risk of developing type 2 diabetes in the future. The values were set using whole blood and required two values reaching or exceeding the value to be positive. Subsequent information led to alterations in O'Sullivan's criteria. When methods for blood glucose determination changed from the use of whole blood to venous plasma samples, the criteria for GDM were also changed. Women with GDM may have high glucose levels in their urine (glucosuria). Although dipstick testing is widely practiced, it performs poorly, and discontinuing routine dipstick testing has not been shown to cause underdiagnosis where universal screening is performed. Increased glomerular filtration rates during pregnancy contribute to some 50% of women having glucose in their urine on dipstick tests at some point during their pregnancy. The sensitivity of glucosuria for GDM in the first 2 trimesters is only around 10% and the positive predictive value is around 20%. A 2015 review found that when done during pregnancy moderate physical exercise is effective for the prevention of gestational diabetes. A 2014 review however did not find a significant effect. Theoretically, smoking cessation may decrease the risk of gestational diabetes among smokers. A kit with a glucose meter and diary used by a woman with gestational diabetes. Treatment of GDM with diet and insulin reduces health problems mother and child. Treatment of GDM is also accompanied by more inductions of labour. A repeat OGTT should be carried out 6 weeks after delivery, to confirm the diabetes has disappeared. Afterwards, regular screening for type 2 diabetes is advised. If a diabetic diet or G.I. Diet, exercise, and oral medication are inadequate to control glucose levels, insulin therapy may become necessary. The development of macrosomia can be evaluated during pregnancy by using sonography. Women who use insulin, with a history of stillbirth, or with hypertension are managed like women with overt diabetes. Counselling before pregnancy (for example, about preventive folic acid supplements) and multidisciplinary management are important for good pregnancy outcomes. Most women can manage their GDM with dietary changes and exercise. Self monitoring of blood glucose levels can guide therapy. Some women will need antidiabetic drugs, most commonly insulin therapy. Any diet needs to provide sufficient calories for pregnancy, typically 2,000 – 2,500 kcal with the exclusion of simple carbohydrates. The main goal of dietary modifications is to avoid peaks in blood sugar levels. This can be done by spreading carbohydrate intake over meals and snacks throughout the day, and using slow-release carbohydrate sources—known as the G.I. Diet. Since insulin resistance is highest in mornings, breakfast carbohydrates need to be restricted more. Ingesting more fiber in foods with whole grains, or fruit and vegetables can also reduce the risk of gestational diabetes. Regular moderately intense physical exercise is advised, although there is no consensus on the specific structure of exercise programs for GDM. Regular blood samples can be used to determine HbA1c levels, which give an idea of glucose control over a longer time period. Research suggests a possible benefit of breastfeeding to reduce the risk of diabetes and related risks for both mother and child. If monitoring reveals failing control of glucose levels with these measures, or if there is evidence of complications like excessive fetal growth, treatment with insulin might be necessary. This is most commonly fast-acting insulin given just before eating to blunt glucose rises after meals. Care needs to be taken to avoid low blood sugar levels due to excessive insulin. Insulin therapy can be normal or very tight; more injections can result in better control but requires more effort, and there is no consensus that it has large benefits. A 2016 Cochrane review concluded that quality evidence is not yet available to determine the best blood sugar range for improving health for pregnant women with GDM and their babies. There is some evidence that certain oral glycemic agents might be safe in pregnancy, or at least, are less dangerous to the developing fetus than poorly controlled diabetes. The oral medication metformin is better than glyburide. If blood glucose cannot be adequately controlled with a single agent, the combination of metformin and insulin may be better than insulin alone. People may prefer metformin by mouth to insulin injections. Treatment of polycystic ovarian syndrome with metformin during pregnancy has been noted to decrease GDM levels. Almost half of the women did not reach sufficient control with metformin alone and needed supplemental therapy with insulin; compared to those treated with insulin alone, they required less insulin, and they gained less weight. With no long-term studies into children of women treated with the drug, here remains a possibility of long-term complications from metformin therapy. Babies born to women treated with metformin have been found to develop less visceral fat, making them less prone to insulin resistance in later life. Gestational diabetes generally resolves once the baby is born. Based on different studies, the chances of developing GDM in a second pregnancy, if you had GDM in your first pregnancy, are between 30 and 84%, depending on ethnic background. A second pregnancy within 1 year of the previous pregnancy has a high rate of recurrence. Women diagnosed with gestational diabetes have an increased risk of developing diabetes mellitus in the future. The risk is highest in women who needed insulin treatment, had antibodies associated with diabetes (such as antibodies against glutamate decarboxylase, islet cell antibodies and/or insulinoma antigen-2), women with more than two previous pregnancies, and women who were obese (in order of importance). Women requiring insulin to manage gestational diabetes have a 50% risk of developing diabetes within the next five years. Depending on the population studied, the diagnostic criteria and the length of follow-up, the risk can vary enormously. The risk appears to be highest in the first 5 years, reaching a plateau thereafter. One of the longest studies followed a group of women from Boston, Massachusetts; half of them developed diabetes after 6 years, and more than 70% had diabetes after 28 years. In a retrospective study in Navajo women, the risk of diabetes after GDM was estimated to be 50 to 70% after 11 years. 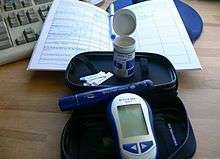 Another study found a risk of diabetes after GDM of more than 25% after 15 years. In populations with a low risk for type 2 diabetes, in lean subjects and in women with auto-antibodies, there is a higher rate of women developing type 1 diabetes. Children of women with GDM have an increased risk for childhood and adult obesity and an increased risk of glucose intolerance and type 2 diabetes later in life. This risk relates to increased maternal glucose values. It is currently unclear how much genetic susceptibility and environmental factors each contribute to this risk, and if treatment of GDM can influence this outcome. There are scarce statistical data on the risk of other conditions in women with GDM; in the Jerusalem Perinatal study, 410 out of 37962 women were reported to have GDM, and there was a tendency towards more breast and pancreatic cancer, but more research is needed to confirm this finding. GDM poses a risk to mother and child. This risk is largely related to uncontrolled high blood glucose levels and its consequences. The risk increases with higher blood glucose levels. Treatment resulting in better control of these levels can reduce some of the risks of GDM considerably. The two main risks GDM imposes on the baby are growth abnormalities and chemical imbalances after birth, which may require admission to a neonatal intensive care unit. Infants born to mothers with GDM are at risk of being both large for gestational age (macrosomic) in unmanaged GDM, and small for gestational age and Intrauterine growth retardation in managed GDM. Macrosomia in turn increases the risk of instrumental deliveries (e.g. forceps, ventouse and caesarean section) or problems during vaginal delivery (such as shoulder dystocia). Macrosomia may affect 12% of normal women compared to 20% of women with GDM. However, the evidence for each of these complications is not equally strong; in the Hyperglycemia and Adverse Pregnancy Outcome (HAPO) study for example, there was an increased risk for babies to be large but not small for gestational age in women with uncontrolled GDM. Research into complications for GDM is difficult because of the many confounding factors (such as obesity). Labelling a woman as having GDM may in itself increase the risk of having an unnecessary caesarean section. Neonates born from women with consistently high blood sugar levels are also at an increased risk of low blood glucose (hypoglycemia), jaundice, high red blood cell mass (polycythemia) and low blood calcium (hypocalcemia) and magnesium (hypomagnesemia). Untreated GDM also interferes with maturation, causing dysmature babies prone to respiratory distress syndrome due to incomplete lung maturation and impaired surfactant synthesis. Unlike pre-gestational diabetes, gestational diabetes has not been clearly shown to be an independent risk factor for birth defects. Birth defects usually originate sometime during the first trimester (before the 13th week) of pregnancy, whereas GDM gradually develops and is least pronounced during the first and early second trimester. Studies have shown that the offspring of women with GDM are at a higher risk for congenital malformations. A large case-control study found that gestational diabetes was linked with a limited group of birth defects, and that this association was generally limited to women with a higher body mass index (≥ 25 kg/m²). It is difficult to make sure that this is not partially due to the inclusion of women with pre-existent type 2 diabetes who were not diagnosed before pregnancy. Because of conflicting studies, it is unclear at the moment whether women with GDM have a higher risk of preeclampsia. In the HAPO study, the risk of preeclampsia was between 13% and 37% higher, although not all possible confounding factors were corrected. Gestational diabetes affects 3–10% of pregnancies, depending on the population studied. 1 2 3 4 5 6 7 8 9 10 "Gestational Diabetes". NIDDK. September 2014. Retrieved 31 July 2016. 1 2 3 4 5 6 7 8 9 Donovan, Peter J; McIntyre, H David (1 October 2010). "Drugs for gestational diabetes". Australian Prescriber. 33 (5): 141–144. doi:10.18773/austprescr.2010.066. ↑ Metzger, B. E.; Coustan, D. R. (1998). "Summary and recommendations of the Fourth International Workshop-Conference on Gestational Diabetes Mellitus. The Organizing Committee". Diabetes Care. 21 Suppl 2: B161–B167. PMID 9704245. And the rest of the issue B1–B167. 1 2 3 4 5 American Diabetes, A. (2004). "Gestational diabetes mellitus". Diabetes Care. 27 Suppl 1 (Supplement 1): S88–S90. doi:10.2337/diacare.27.2007.s88. PMID 14693936. ↑ White, P. (1949). "Pregnancy complicating diabetes". The American Journal of Medicine. 7 (5): 609–616. doi:10.1016/0002-9343(49)90382-4. PMID 15396063. 1 2 3 4 5 6 7 8 Ross, G. (2006). "Gestational diabetes". Australian family physician. 35 (6): 392–396. PMID 16751853. ↑ Chu, S. Y.; Callaghan, W. M.; Kim, S. Y.; Schmid, C. H.; Lau, J.; England, L. J.; Dietz, P. M. (2007). "Maternal Obesity and Risk of Gestational Diabetes Mellitus". Diabetes Care. 30 (8): 2070–2076. doi:10.2337/dc06-2559a. PMID 17416786. ↑ Zhang, C.; Bao, W.; Rong, Y.; Yang, H.; Bowers, K.; Yeung, E.; Kiely, M. (2013). "Genetic variants and the risk of gestational diabetes mellitus: A systematic review". Human Reproduction Update. 19 (4): 376–90. doi:10.1093/humupd/dmt013. PMID 23690305. ↑ Bjorge, T.; Tretli, S.; Engeland, A.; Soule, L. M.; Schisterman, E. F.; Yu, K. F.; Catalano, P. M. (2004). "Relation of Height and Body Mass Index to Renal Cell Carcinoma in Two Million Norwegian Men and Women". American Journal of Epidemiology. 160 (12): 1168–1176. doi:10.1093/aje/kwh345. PMID 15583369. ↑ Toulis, K. A.; Goulis, D. G.; Kolibianakis, E. M.; Venetis, C. A.; Tarlatzis, B. C.; Papadimas, I. (2009). "Risk of gestational diabetes mellitus in women with polycystic ovary syndrome: A systematic review and a meta-analysis". Fertility and Sterility. 92 (2): 667–677. doi:10.1016/j.fertnstert.2008.06.045. PMID 18710713. ↑ Ma, R. M.; Lao, T. T.; Ma, C. L.; Liao, S. J.; Lu, Y. F.; Du, M. Y.; Xiao, H.; Zhang, L.; Yang, M. H.; Xiao, X. (2007). "Relationship Between Leg Length and Gestational Diabetes Mellitus in Chinese Pregnant Women". Diabetes Care. 30 (11): 2960–2961. doi:10.2337/dc07-0763. PMID 17666468. 1 2 3 4 ACOG. Precis V. An Update on Obstetrics and Gynecology. ACOG (1994). p. 170. ISBN 0-915473-22-4. 1 2 Carr DB, Gabbe S (1998). "Gestational Diabetes: Detection, Management, and Implications". Clin Diabetes. 16 (1): 4. ↑ Buchanan, T. A.; Xiang, A. H. (2005). "Gestational diabetes mellitus". Journal of Clinical Investigation. 115 (3): 485–491. doi:10.1172/JCI24531. PMC 1052018 . PMID 15765129. ↑ Sorenson, R.; Brelje, T. (2007). "Adaptation of Islets of Langerhans to Pregnancy: β-Cell Growth, Enhanced Insulin Secretion and the Role of Lactogenic Hormones". Hormone and Metabolic Research. 29 (06): 301–307. doi:10.1055/s-2007-979040. ISSN 0018-5043. 1 2 3 Alvarez-Perez, J. C.; Ernst, S.; Demirci, C.; Casinelli, G. P.; Mellado-Gil, J. M. D.; Rausell-Palamos, F.; Vasavada, R. C.; Garcia-Ocana, A. (2013). "Hepatocyte Growth Factor/c-Met Signaling Is Required for -Cell Regeneration". Diabetes. 63 (1): 216–223. doi:10.2337/db13-0333. ISSN 0012-1797. 1 2 3 Demirci, C.; Ernst, S.; Alvarez-Perez, J. C.; Rosa, T.; Valle, S.; Shridhar, V.; Casinelli, G. P.; Alonso, L. C.; Vasavada, R. C.; Garcia-Ocana, A. (2012). "Loss of HGF/c-Met Signaling in Pancreatic -Cells Leads to Incomplete Maternal -Cell Adaptation and Gestational Diabetes Mellitus". Diabetes. 61 (5): 1143–1152. doi:10.2337/db11-1154. ISSN 0012-1797. ↑ Organ, S. L.; Tsao, M.-S. (2011). "An overview of the c-MET signaling pathway". Therapeutic Advances in Medical Oncology. 3 (1 Suppl): S7–S19. doi:10.1177/1758834011422556. ISSN 1758-8340. PMC 3225017 . PMID 22128289. 1 2 3 4 5 Kelly, L.; Evans, L.; Messenger, D. (2005). "Controversies around gestational diabetes. Practical information for family doctors". Canadian Family Physician. 51 (5): 688–695. PMC 1472928 . PMID 15934273. ↑ Sievenpiper, J. L.; Jenkins, D. J.; Josse, R. G.; Vuksan, V. (2001). "Dilution of the 75-g oral glucose tolerance test improves overall tolerability but not reproducibility in subjects with different body compositions". Diabetes research and clinical practice. 51 (2): 87–95. doi:10.1016/S0168-8227(00)00209-6. PMID 11165688. ↑ Reece, E. A.; Holford, T.; Tuck, S.; Bargar, M.; O'Connor, T.; Hobbins, J. C. (1987). "Screening for gestational diabetes: One-hour carbohydrate tolerance test performed by a virtually tasteless polymer of glucose". American Journal of Obstetrics and Gynecology. 156 (1): 132–134. doi:10.1016/0002-9378(87)90223-7. PMID 3799747. 1 2 3 Tieu, J; McPhee, AJ; Crowther, CA; Middleton, P (11 February 2014). "Screening and subsequent management for gestational diabetes for improving maternal and infant health.". The Cochrane database of systematic reviews. 2: CD007222. doi:10.1002/14651858.CD007222.pub3. PMID 24515533. 1 2 Berger, H.; Crane, J.; Farine, D.; Armson, A.; De La Ronde, S.; Keenan-Lindsay, L.; Leduc, L.; Reid, G.; Van Aerde, J.; Maternal-Fetal Medicine, C.; Executive Council of the Society of Obstetricians Gynaecologists of Canada (2002). "Screening for gestational diabetes mellitus". Journal of obstetrics and gynaecology Canada : JOGC = Journal d'obstetrique et gynecologie du Canada : JOGC. 24 (11): 894–912. PMID 12417905. ↑ Gabbe, S. G.; Gregory, R. P.; Power, M. L.; Williams, S. B.; Schulkin, J. (2004). "Management of Diabetes Mellitus by Obstetrician–Gynecologists". Obstetrics & Gynecology. 103 (6): 1229–1234. doi:10.1097/01.AOG.0000128045.50439.89. PMID 15172857. ↑ Mires, G. J.; Williams, F. L.; Harper, V. (1999). "Screening practices for gestational diabetes mellitus in UK obstetric units". 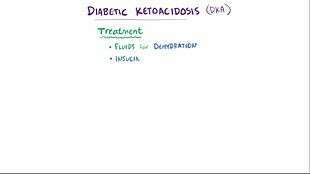 Diabetic Medicine. 16 (2): 138–141. doi:10.1046/j.1464-5491.1999.00011.x. PMID 10229307. ↑ Canadian Diabetes Association Clinical Practice Guidelines Expert Committee. Canadian Diabetes Association 2003 Clinical Practice Guidelines for the Prevention and Management of Diabetes in Canada. Can J Diabetes 2003; 27 (Suppl 2): 1–140. ↑ Gabbe, S. G.; Graves, C. R. (2003). "Management of diabetes mellitus complicating pregnancy". Obstetrics and gynecology. 102 (4): 857–868. doi:10.1016/j.obstetgynecol.2003.07.001. PMID 14551019. ↑ Hillier, T. A.; Vesco, K. K.; Pedula, K. L.; Beil, T. L.; Whitlock, E. P.; Pettitt, D. J. (2008). "Screening for gestational diabetes mellitus: A systematic review for the U.S. Preventive Services Task Force". Annals of Internal Medicine. 148 (10): 766–775. doi:10.7326/0003-4819-148-10-200805200-00009. PMID 18490689. ↑ Agarwal, M. M.; Dhatt, G. S. (2006). "Fasting plasma glucose as a screening test for gestational diabetes mellitus". Archives of Gynecology and Obstetrics. 275 (2): 81–87. doi:10.1007/s00404-006-0245-9. PMID 16967273. ↑ Sacks, D. A.; Chen, W.; Wolde-Tsadik, G.; Buchanan, T. A. (2003). "Fasting plasma glucose test at the first prenatal visit as a screen for gestational diabetes". Obstetrics and gynecology. 101 (6): 1197–1203. doi:10.1016/s0029-7844(03)00049-8. PMID 12798525. ↑ Agarwal, M. M.; Dhatt, G. S.; Punnose, J.; Zayed, R. (2007). "Gestational diabetes: Fasting and postprandial glucose as first prenatal screening tests in a high-risk population". The Journal of reproductive medicine. 52 (4): 299–305. PMID 17506370. ↑ Glucose tolerance test. MedlinePlus, November 8, 2006. ↑ Carpenter, M. W.; Coustan, D. R. (1982). "Criteria for screening tests for gestational diabetes". American Journal of Obstetrics and Gynecology. 144 (7): 768–773. PMID 7148898. ↑ Mello, G.; Elena, P.; Ognibene, A.; Cioni, R.; Tondi, F.; Pezzati, P.; Pratesi, M.; Scarselli, G.; Messeri, G. (2006). "Lack of Concordance between the 75-g and 100-g Glucose Load Tests for the Diagnosis of Gestational Diabetes Mellitus". Clinical Chemistry. 52 (9): 1679–1684. doi:10.1373/clinchem.2005.058040. PMID 16873295. 1 2 Janzen, C.; Greenspoon, J.S. (2006). "Gestational Diabetes". Diabetes Mellitus & Pregnancy – Gestational Diabetes. Armenian Medical Network. Retrieved 2006-11-27. ↑ Rhode, M. A.; Shapiro, H.; Jones Ow, 3. (2007). "Indicated vs. Routine prenatal urine chemical reagent strip testing". The Journal of reproductive medicine. 52 (3): 214–219. PMID 17465289. ↑ Alto, W. A. (2005). "No need for glycosuria/proteinuria screen in pregnant women". The Journal of family practice. 54 (11): 978–983. PMID 16266604. ↑ Ritterath, C.; Siegmund, T.; Rad, N. T.; Stein, U.; Buhling, K. J. (2006). "Accuracy and influence of ascorbic acid on glucose-test with urine dip sticks in prenatal care". Journal of Perinatal Medicine. 34 (4): 285–288. doi:10.1515/JPM.2006.054. PMID 16856816. ↑ Sanabria-Martínez, G; García-Hermoso, A; Poyatos-León, R; Álvarez-Bueno, C; Sánchez-López, M; Martínez-Vizcaíno, V (August 2015). "Effectiveness of physical activity interventions on preventing gestational diabetes mellitus and excessive maternal weight gain: a meta-analysis.". BJOG : an international journal of obstetrics and gynaecology. 122 (9): 1167–74. doi:10.1111/1471-0528.13429. PMID 26036300. ↑ Yin, YN; Li, XL; Tao, TJ; Luo, BR; Liao, SJ (February 2014). "Physical activity during pregnancy and the risk of gestational diabetes mellitus: a systematic review and meta-analysis of randomised controlled trials.". British journal of sports medicine. 48 (4): 290–5. doi:10.1136/bjsports-2013-092596. PMID 24037671. 1 2 Alwan, N; Tuffnell, DJ; West, J (8 July 2009). "Treatments for gestational diabetes.". The Cochrane database of systematic reviews (3): CD003395. doi:10.1002/14651858.CD003395.pub2. PMID 19588341. ↑ Kapoor, N.; Sankaran, S.; Hyer, S.; Shehata, H. (2007). "Diabetes in pregnancy: A review of current evidence". Current Opinion in Obstetrics and Gynecology. 19 (6): 586–590. doi:10.1097/GCO.0b013e3282f20aad. PMID 18007138. ↑ "Healthy Diet During Pregnancy". Retrieved 21 January 2011. ↑ Mottola, M. F. (2007). "The role of exercise in the prevention and treatment of gestational diabetes mellitus". Current Sports Medicine Reports. 6 (6): 381–386. doi:10.1097/01.csmr.0000305617.87993.51. PMID 18001611. 1 2 Langer, O.; Rodriguez, D. A.; Xenakis, E. M.; McFarland, M. B.; Berkus, M. D.; Arrendondo, F. (1994). "Intensified versus conventional management of gestational diabetes". American Journal of Obstetrics and Gynecology. 170 (4): 1036–1046; discussion 1046–7. doi:10.1016/S0002-9378(94)70097-4. PMID 8166187. ↑ Taylor, J. S.; Kacmar, J. E.; Nothnagle, M.; Lawrence, R. A. (2005). "A systematic review of the literature associating breastfeeding with type 2 diabetes and gestational diabetes". Journal of the American College of Nutrition. 24 (5): 320–326. doi:10.1080/07315724.2005.10719480. PMID 16192255. ↑ Nachum, Z; Ben-Shlomo, I; Weiner, E; Shalev, E (6 November 1999). "Twice daily versus four times daily insulin dose regimens for diabetes in pregnancy: randomised controlled trial.". BMJ (Clinical research ed.). 319 (7219): 1223–7. doi:10.1136/bmj.319.7219.1223. PMC 28269 . PMID 10550081. ↑ Walkinshaw, SA (2000). "Very tight versus tight control for diabetes in pregnancy.". The Cochrane database of systematic reviews (2): CD000226. doi:10.1002/14651858.CD000226. PMID 10796184. ↑ Martis, R; Brown, J; Alsweiler, J; Crowther, CA (2016). "Different intensities of glycaemic control for women with gestational diabetes mellitus". Cochrane Database of Systematic Reviews (4): CD011624. doi:10.1002/14651858.CD011624.pub2. Retrieved 8 April 2016. 1 2 Balsells, M; García-Patterson, A; Solà, I; Roqué, M; Gich, I; Corcoy, R (21 January 2015). "Glibenclamide, metformin, and insulin for the treatment of gestational diabetes: a systematic review and meta-analysis.". BMJ (Clinical research ed.). 350: h102. doi:10.1136/bmj.h102. PMID 25609400. ↑ Simmons, D; Walters, BN; Rowan, JA; McIntyre, HD (3 May 2004). "Metformin therapy and diabetes in pregnancy.". The Medical journal of Australia. 180 (9): 462–4. PMID 15115425. 1 2 Sivalingam, V. N.; Myers, J.; Nicholas, S.; Balen, A. H.; Crosbie, E. J. (2014). "Metformin in reproductive health, pregnancy and gynaecological cancer: established and emerging indications". Human Reproduction Update. 20 (6): 853–868. doi:10.1093/humupd/dmu037. ISSN 1355-4786. PMID 25013215. ↑ Kim, C.; Berger, D. K.; Chamany, S. (2007). "Recurrence of Gestational Diabetes Mellitus: A systematic review". Diabetes Care. 30 (5): 1314–1319. doi:10.2337/dc06-2517. PMID 17290037. ↑ Löbner, K.; Knopff, A.; Baumgarten, A.; Mollenhauer, U.; Marienfeld, S.; Garrido-Franco, M.; Bonifacio, E.; Ziegler, A. G. (2006). "Predictors of postpartum diabetes in women with gestational diabetes mellitus". Diabetes. 55 (3): 792–797. doi:10.2337/diabetes.55.03.06.db05-0746. PMID 16505245. 1 2 Järvelä, I. Y.; Juutinen, J.; Koskela, P.; Hartikainen, A. L.; Kulmala, P.; Knip, M.; Tapanainen, J. S. (2006). "Gestational diabetes identifies women at risk for permanent type 1 and type 2 diabetes in fertile age: Predictive role of autoantibodies". Diabetes Care. 29 (3): 607–612. doi:10.2337/diacare.29.03.06.dc05-1118. PMID 16505514. 1 2 3 Kim, C.; Newton, K. M.; Knopp, R. H. (2002). "Gestational diabetes and the incidence of type 2 diabetes: A systematic review". Diabetes Care. 25 (10): 1862–1868. doi:10.2337/diacare.25.10.1862. PMID 12351492. ↑ Steinhart, J. R.; Sugarman, J. R.; Connell, F. A. (1997). "Gestational diabetes is a herald of NIDDM in Navajo women. High rate of abnormal glucose tolerance after GDM". Diabetes Care. 20 (6): 943–947. doi:10.2337/diacare.20.6.943. PMID 9167104. ↑ Lee, A. J.; Hiscock, R. J.; Wein, P.; Walker, S. P.; Permezel, M. (2007). "Gestational Diabetes Mellitus: Clinical Predictors and Long-Term Risk of Developing Type 2 Diabetes: A retrospective cohort study using survival analysis". Diabetes Care. 30 (4): 878–883. doi:10.2337/dc06-1816. PMID 17392549. ↑ Boney, C. M.; Verma, A.; Tucker, R.; Vohr, B. R. (2005). "Metabolic Syndrome in Childhood: Association with Birth Weight, Maternal Obesity, and Gestational Diabetes Mellitus". Pediatrics. 115 (3): e290–e296. doi:10.1542/peds.2004-1808. PMID 15741354. ↑ Hillier, T. A.; Pedula, K. L.; Schmidt, M. M.; Mullen, J. A.; Charles, M. -A.; Pettitt, D. J. (2007). "Childhood Obesity and Metabolic Imprinting: The ongoing effects of maternal hyperglycemia". Diabetes Care. 30 (9): 2287–2292. doi:10.2337/dc06-2361. PMID 17519427. ↑ Metzger, B. E. (2007). "Long-term Outcomes in Mothers Diagnosed with Gestational Diabetes Mellitus and Their Offspring". Clinical Obstetrics and Gynecology. 50 (4): 972–979. doi:10.1097/GRF.0b013e31815a61d6. PMID 17982340. ↑ Perrin, M. C.; Terry, M. B.; Kleinhaus, K.; Deutsch, L.; Yanetz, R.; Tiram, E.; Calderon-Margalit, R.; Friedlander, Y.; Paltiel, O.; Harlap, S. (2007). "Gestational diabetes and the risk of breast cancer among women in the Jerusalem Perinatal Study". Breast Cancer Research and Treatment. 108 (1): 129–135. doi:10.1007/s10549-007-9585-9. PMID 17476589. ↑ Perrin, M. C.; Terry, M. B.; Kleinhaus, K.; Deutsch, L.; Yanetz, R.; Tiram, E.; Calderon, R.; Friedlander, Y.; Paltiel, O.; Harlap, S. (2007). "Gestational diabetes as a risk factor for pancreatic cancer: A prospective cohort study". BMC Medicine. 5 (1): 25. doi:10.1186/1741-7015-5-25. PMC 2042496 . PMID 17705823. 1 2 3 4 HAPO Study Cooperative Research Group; Metzger, B. E.; Lowe, L. P.; Dyer, A. R.; Trimble, E. R.; Chaovarindr, U.; Coustan, D. R.; Hadden, D. R.; McCance, D. R.; Hod, M.; McIntyre; Oats, J. J.; Persson, B.; Rogers, M. S.; Sacks, D. A. (2008). "Hyperglycemia and Adverse Pregnancy Outcomes". New England Journal of Medicine. 358 (19): 1991–2002. doi:10.1056/NEJMoa0707943. PMID 18463375. ↑ Setji, T. L.; Brown, A. J.; Feinglos, M. N. (1 January 2005). "Gestational Diabetes Mellitus". Clinical Diabetes. 23 (1): 17–24. doi:10.2337/diaclin.23.1.17. ↑ Naylor, C. D.; Sermer, M.; Chen, E.; Farine, D. (1997). "Selective Screening for Gestational Diabetes Mellitus". New England Journal of Medicine. 337 (22): 1591–1596. doi:10.1056/NEJM199711273372204. PMID 9371855. ↑ Jovanovic-Peterson, L.; Bevier, W.; Peterson, C. (2008). "The Santa Barbara County Health Care Services Program: Birth Weight Change Concomitant with Screening for and Treatment of Glucose-Intolerance of Pregnancy: A Potential Cost-Effective Intervention?". American Journal of Perinatology. 14 (4): 221–228. doi:10.1055/s-2007-994131. PMID 9259932. 1 2 Jones, C. W. (2001). "Gestational diabetes and its impact on the neonate". Neonatal network : NN. 20 (6): 17–23. doi:10.1891/0730-0832.20.6.17. PMID 12144115. ↑ Allen, V. M.; Armson, B. A.; Wilson, R. D.; Allen, V. M.; Blight, C.; Gagnon, A.; Johnson, J. A.; Langlois, S.; Summers, A.; Wyatt, P.; Farine, D.; Armson, B. A.; Crane, J.; Delisle, M. F.; Keenan-Lindsay, L.; Morin, V.; Schneider, C. E.; Van Aerde, J.; Society of Obstetricians Gynecologists of Canada (2007). "Teratogenicity associated with pre-existing and gestational diabetes". Journal of obstetrics and gynaecology Canada : JOGC = Journal d'obstetrique et gynecologie du Canada : JOGC. 29 (11): 927–944. PMID 17977497. ↑ Martinez-Frias, M. L.; Frias, J. P.; Bermejo, E.; Rodriguez-Pinilla, E.; Prieto, L.; Frias, J. L. (2005). "Pre-gestational maternal body mass index predicts an increased risk of congenital malformations in infants of mothers with gestational diabetes". Diabetic Medicine. 22 (6): 775–781. doi:10.1111/j.1464-5491.2005.01492.x. PMID 15910631. ↑ Savona-Ventura, C.; Gatt, M. (2004). "Embryonal risks in gestational diabetes mellitus". Early human development. 79 (1): 59–63. doi:10.1016/j.earlhumdev.2004.04.007. PMID 15449398. ↑ Correa, A.; Gilboa, S. M.; Besser, L. M.; Botto, L. D.; Moore, C. A.; Hobbs, C. A.; Cleves, M. A.; Riehle-Colarusso, T. J.; Waller, D. K.; Reece, E. A. (2008). "Diabetes mellitus and birth defects". American Journal of Obstetrics and Gynecology. 199 (3): 237.2e1–9. doi:10.1016/j.ajog.2008.06.028. PMID 18674752. ↑ Leguizamón, G. F.; Zeff, N. P.; Fernández, A. (2006). "Hypertension and the pregnancy complicated by diabetes". Current Diabetes Reports. 6 (4): 297–304. doi:10.1007/s11892-006-0064-1. PMID 16879782. ↑ Schneider, Clara, MS, RD, RN, CDE, LDN. "Diabetes and the Risk to Your Family Tree". www.diabetescare.net. Diabetescare.net. Retrieved 5 December 2014. National Institute of Child Health and Human Development – Am I at Risk for Gestational Diabetes?